Official Memorabilia, in conjunction with the Collingwood Football Club and the AFL, are proud to release the Dane Swan Facsimile Signed Mini Wings. 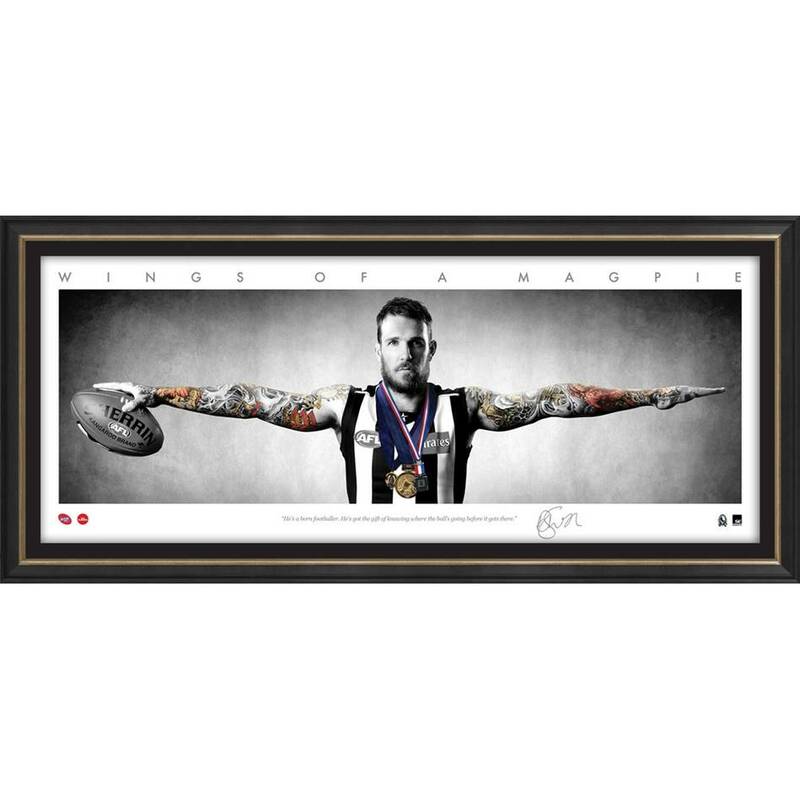 Featuring the facsimile signature of one of the Magpies' favourite sons, Dane Swan, each edition comes officially licensed and endorsed by the AFL & AFLPA. It’s a must-have for all Magpies fans and astute collectors alike – don’t miss out, secure your edition before stock runs out!